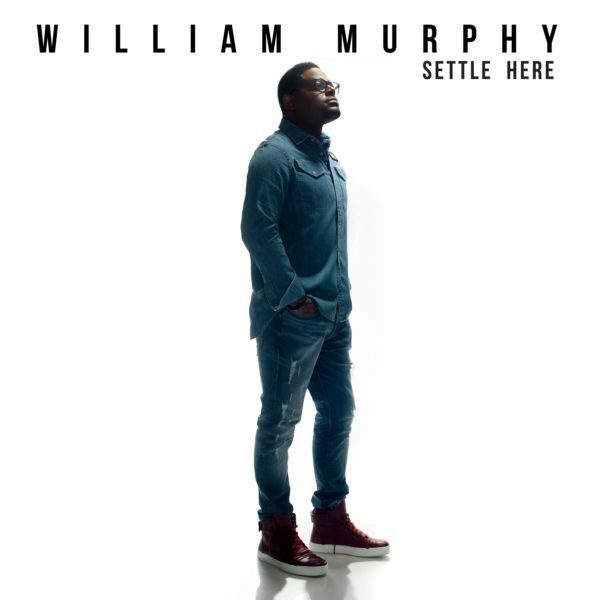 Two-time GRAMMY® and Dove Award nominee, and Stellar Award winner William Murphy, has released his new live album Settle Here, available now. The sixth album from the chart-topping recording artist, songwriter, and worship leader, Settle Here features thirteen tracks, illuminated in a transfixing performance of worship and praise. Produced by Kenneth Leonard and Tasha Cobbs Leonard, the album features the hit single “Settle Here” (Pt. 1) – a #1 hit on Billboard’s Gospel Digital Song Sales chart – “The Rock,” “Worship Forever,” the Zach Williams hit “Chain Breaker,” “Face to Face” (feat. his daughter Keilah Lauren Murphy, Breona Lawrence, Charmaine Broome, and Y’Anna Crawley), and more. Recorded in two parts at his home and his church The dReam Center Church of Atlanta, Murphy crafted Settle Here to build bridges across denominations, cultures, and generations, aiming to unify listeners, churches, and Christ’s message together. Known for hits such as “Praise Is What I Do,” “It’s Working,” “Everlasting God” (feat. Bishop James Morton), and “Arise (You Are Good),” William Murphy continues to create an indelible influence on music ministry with his voice, songwriting and producing talents, from his GRAMMY®-nominated live albums Demonstrate and God Chaser, to his new album Settle Here. He celebrates the new release of Settle Here on March 15th with a free album release concert at his home church, The dReam Center Church of Atlanta, at 7:30 pm EST.